Just noticed that HSN has the Moto G6, bundled with 1200 minutes/text/data for $180. Very excited. I've been waiting for a while for this and it's a great deal. My annual service runs out next month, so just in the nick of time. Hopefully this isn't a repost, but the comment mechanism acted weird the first time. Just found this phone at HSN with 1200 minutes/text/data for $180. Been waiting for this deal for a while. My annual service is running out next month so this deal came just in time. Just wanted to let you and your readers know this phone is now available at HSN for $180 with 1200 minutes/texts/data. Finally a Tracfone with 32 gb at a reasonable price. 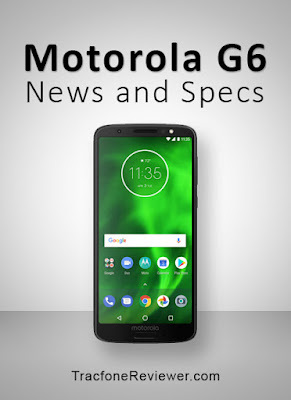 As of 2-1-19 at HSN the Motorola G6 and the 1200 min/text's/data is now on sale for $169.99 , not sure how long but I just ordered one as it's a great deal on a good phone.a upgrade from the Lg stylo 3 I have at the moment! I bought the g6 recently and love everything about it, but one. I can't use messages, it will not work. I've tried fixing from the website but having no luck. It's a deal breaker for me. Any suggestions? Thx!